It was a quiet and sunny September evening when Ben found his way to the track. This in itself was a success. 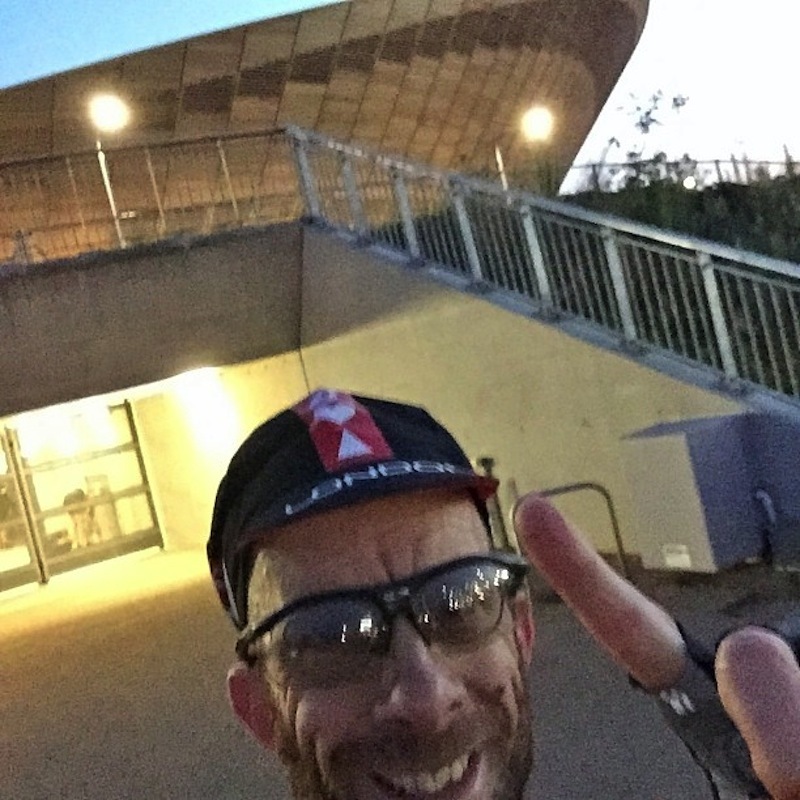 Nestled in the Olympic Park, not far from the trendy bars of Hoxton, is Lee Valley race crit. 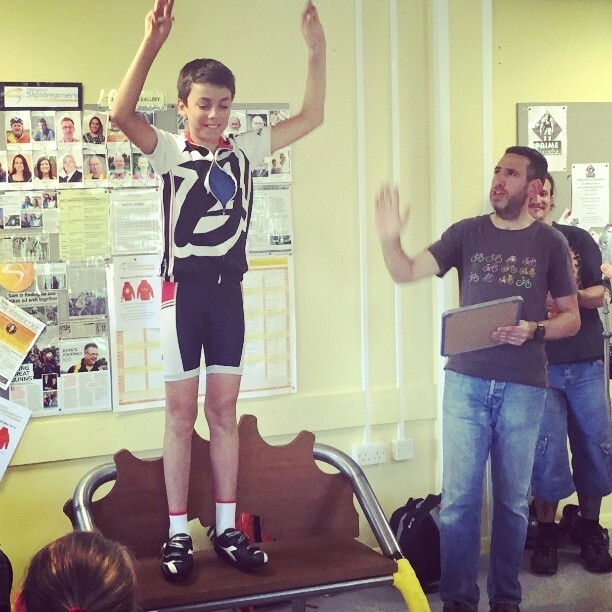 As one of London’s latest race venues, the Baroudeurs had to check it out. It’s been our first season at he Valley, and already had some serious success; Alex ‘Bear-clawed’ his way into a top 3, earning him his entrance into the next category, but tonight was Ben’s solo night to clear up some unfinished business. Saturday is a day full of racing. In race news headlines: “Junior Baroudeur wins (his fifth in a row), whilst father snatches defeat from the jaws of victory and is forced to ride most of the final sprint on the grass verge. Agony Shock! In a quick telephone interview, we were able to talk with the Baroudeur Champion himself: “It was a standard, cagey sketch-fest. Not especially quick. I sat in and held my lines with a vengeance, avoiding the obligatory massive stack that happened feet away on a corner. 5 laps to go, moved up a bit. I could tell from the way that everyone looked like they were working hard up that little rise near the start hut that I’d be able to go past a few there, so I waited for the last two laps. Moved up a bit at the bell and then everyone started riding hell for leather. Passing the start hut I was maybe 5th and knew I had it. Took a couple more in the back straight, went up the hump at the end quickest, chased down the guy that had gone early and went quite early, fully expecting someone to pop out from behind me. 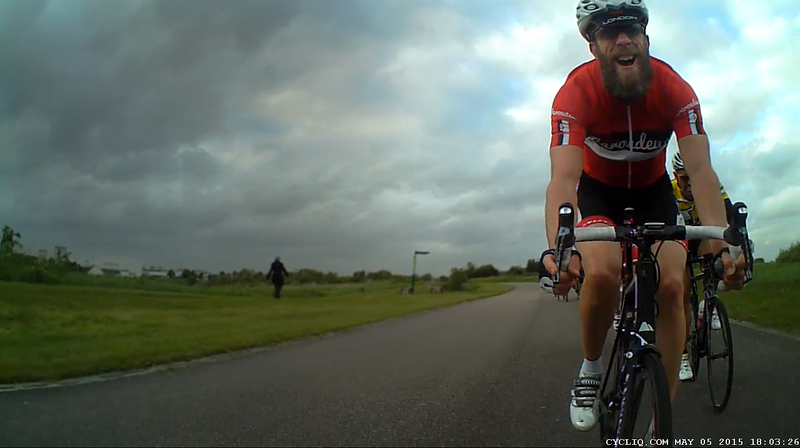 I caught the lead guy, passed him, held my sprint to the line and no one got near me. Surreal :)” – Ben ‘Captain’ Ackland.